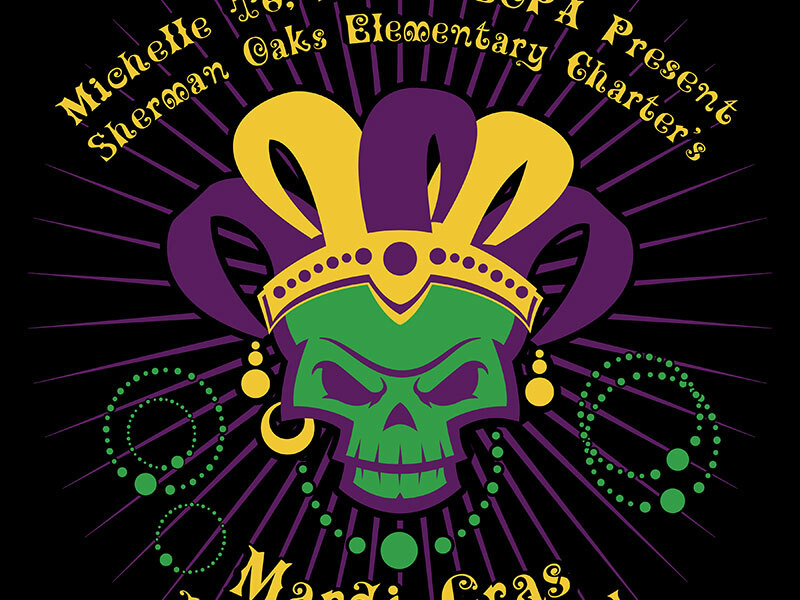 Branding Identity Logo we developed for Sherman Oaks Elementary Charter, SOEC, 2016 Halloween Mardi Gras Carnival. 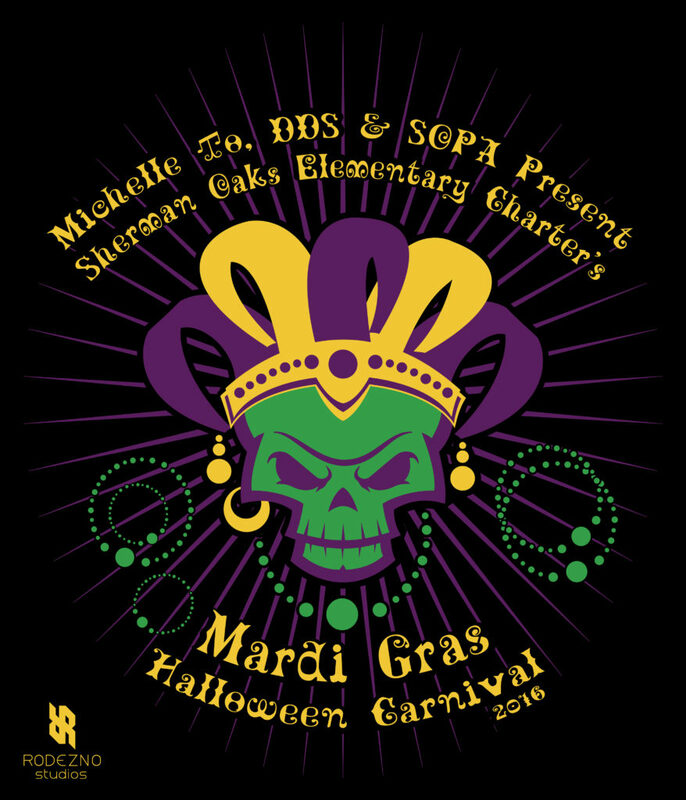 We designed a vector graphic for Sherman Oaks Elementary’s Halloween Mardi Gras Carnival 2016 event. This graphic will be used on T-shirts, promotional material, banners and other print media. This is the second year in a row that Rodezno Studios has had the honor of handling the Halloween Carnival digital content needs for SOEC. This project had a 3 color limit so we designed this illustration with a color scheme that goes with the Mardi Gras theme and assigned colors to the illustration elements so the design works well on different media. Services Provided: Logo and branding strategy, digital content, digital marketing content & strategy, vector illustration, art direction, handling interaction with print presses.